Optimising a London-based business can be a tricky task even for the most experienced SEO. Post-recession, the city is enjoying a thriving economy and an impressive entrepreneurial culture, but facing so many of your rivals in such a relatively small area makes it hard enough to get a London company off the ground, let alone turn your venture into a force to be reckoned with in the local industry. As a London business owner, you may have a little SEO knowledge already. But if you’ve heard too much conflicting information and you’re not sure if you’re on the right path, help is at hand. Here, we’ve listed five top tips for start-up companies in London who want to gain more exposure in what is one of the most competitive search markets in the world. This advice is based on our own experience in working with businesses in London – if you have your own ideas, we’d love to hear from you! 1. Before you optimise your website, optimise your business plan! 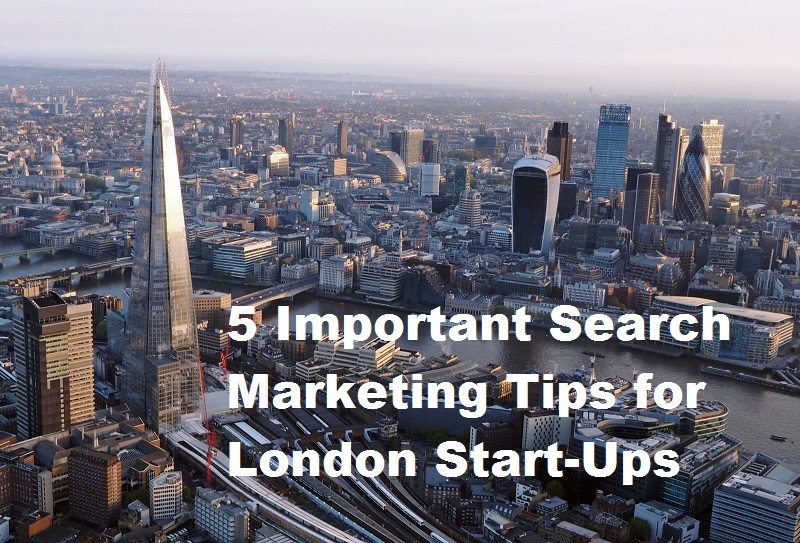 OK – we know it’s not strictly an SEO tip, but our first and most important piece of advice would be to thoroughly research your market before you launch your business and its supporting London SEO campaign. There are plenty of other budding entrepreneurs in the city who are bursting with great ideas, and trust us, you’re only going to make a splash if you think ahead. A SWOT analysis will help you identify your company’s Strengths, Weaknesses, Opportunities and Threats. Aside from helping you decide whether or not your business idea is plausible, this approach will also help you determine your USPs and focus your resources into the right areas. From here, you can discover what it is you want to achieve from your SEO strategy, and how search is going to help you drive growth moving forward. Remember, if there are gaping holes in your business plan, no amount of SEO is going to help you succeed! If you want to rank well, you need a great website! And by ‘great’, we mean a platform that combines a fantastic user experience with an SEO-inspired architecture. London is rife with web designers, but finding a talented, experienced professional at a price that suits the limited budget of a new London-based SMB is difficult at the best of times. We can’t pretend for one minute that ‘great’ websites come cheap, but if you’re serious about your business, your investment will be worth every penny. In our experience, you’ll save time and money with your chosen web designer if you spend some time researching your options and eventually approach them with a clear plan (and a little bit of background knowledge in case they try to blind you with technical jargon!). First of all, you need to have a clear idea of what you want your website to do. Do you want it to capture data? Generate enquiries? Sell your products directly? Decide on the site’s main purpose and ensure that its design and structure is geared up to deliver a clear message via straightforward call-to-actions (CTAs). Then, try and form an understanding of how all of the things you’d like to feature on your site can be incorporated into the design. Steer away from cluttered, text-heavy templates and embrace the latest web design trends for a look that’s both practical and attractive. Secondly, use this newfound clarity to come up with a basic SEO strategy. Think about how you’re going to use your site to your advantage. Brainstorm keyword ideas; think about how you’re going to present your navigation menu to your users; write a list of the landing pages you’ll need to run your PPC campaign. The more groundwork you do in the early stages, the easier it will be to hit the ground running with your search campaign when the site is live. We’d also recommend silo-ing your site to group relevant information – Bruce Clay has written a fantastic guide to silo-ing here. Whatever you do, don’t build first and optimise later! Let’s start off by confirming what you probably already knew: when it comes to optimising a web page for London searches, you may as well be targeting a whole country, not a city. In most cases, if you place a town or a city on the end of a key phrase, you’ll be refining your search query and the level of competition surrounding it will decrease as a result. But the same can’t often be said for ‘London’ search terms. Overall, search volumes are normally considerably higher if you want to target the city of London as opposed to another region or county in the UK, such as Essex or Kent. Let’s look at the phrase ‘plumbers’ as an example. Broadly speaking, at time of writing, this key phrase is searched for 8,100 times a month by Google users in the UK. When localised, ‘plumbers London’ is searched for 880 times a month. In comparison, ‘plumbers Essex’ is searched for just 140 times a month. With this in mind, if your initial budget is limited and you can’t afford to wait months and months to appear in the organic listings for ‘London’ keywords, you may need to rethink your keyword strategy. The same advice applies to those who are dipping their toes into PPC advertising – you’ll find that ‘London’ keywords will eat away at your click spend very quickly indeed. If targeting London as a whole isn’t going to bring you a fast enough return on investment (either through organic SEO or PPC), you could target individual boroughs instead. Building on the trade example, ‘plumbers Islington’ is searched for 50 times a month – at face value this may not seem like a high number of searches, but if you’re based in or around Islington, you’ll find it easier to service these local leads, so in real terms, this keyword is much more relevant and will bring more valuable enquiries to your business. The key to effective keyword targeting for London businesses is to start small but dream big. Use Google’s Keyword Planner Tool to find new keyword ideas, compare search volumes and calculate suggested bids. Once you’ve chosen your keywords, you’ll need to spend some time creating and optimising your website’s content. We can’t stress enough how important this is. Every good London SEO will tell you that quality, relevant content is the key to search exposure, so if you’re not a natural-born writer, or you just don’t have the time to come up with the kind of content that’s going to do your business justice, find a good copywriter and let them take the reins. In terms of making sure the content has SEO value, we know it can be tempting to stuff your text full of all of your juicy ‘London’ keywords and hope for the best, but don’t go overboard. If you’re not sure how to best optimise the text on your web pages, ask a professional to do it. This way, you won’t run the risk of being ignored (or worse, penalised) by the major search engines for over-optimising your pages and deliberately trying to manipulate your ranking positions. Again, this advice isn’t solely SEO-related, but creating a strong, identifiable brand will help you succeed online and offline. When they land on your site, visitors will assess the credibility of your brand in a matter of seconds, and if they don’t like or trust what they see, they’ll simply click away to one of your competitors. Modern, professional branding is proven to lead to higher conversions. Consider everything from your logo and letterheads all the way down to the fonts and colours you use throughout your website – all design work, whether it’s for digital or for print, needs to be consistent and in keeping with your customer experience.